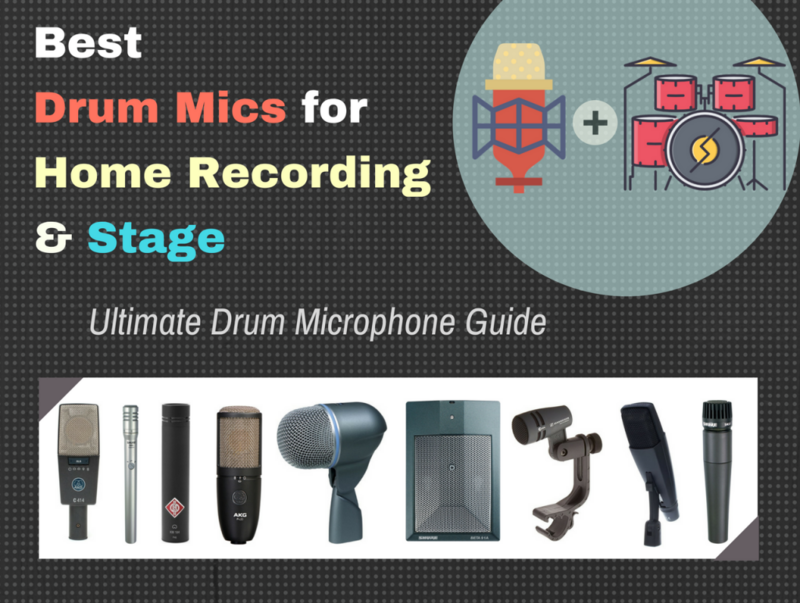 In this guide we’ll look at some of the best drum mics for recording studio and stage. Quick answer: the AKG C414 XLS condenser microphone and the Sennheiser MD 421 II dynamic microphones may be all that you need for general drum recording. Especially so for the Sennheiser, which you can see wired up to many professional stage and studio drum recordings. But choosing a drum microphone isn’t as simple as buying a matching pair and wiring them up to your set. The drum set is a collection many percussion instruments played by one person. Hence the typical drum microphone setup requires a variety of different microphones. 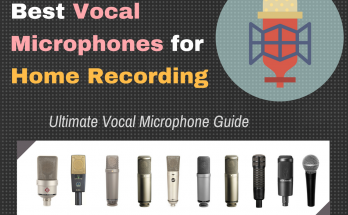 So this guide will explain what goes into choosing the best microphones for each drum, and how you can make the best choice for yourself, based upon a few factors. 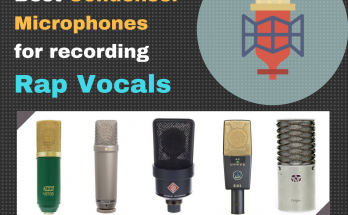 Since there are 10 microphones in this list, there’s a variety of options to choose from — in terms what kind of drum you want to record, as well as what your budget can afford. Generally speaking, we'll start off by talking about overhead and room microphones, then get into kick microphones, and snare and toms. Within those you'll find a description of use of each microphone for other drum applications (such as hats, cymbals, toms, percussion, and so on). We chose each microphone as the best to fit each budget, high or low. If you need help in deciding which is the best drum microphone for you, check out the buying guide section of this post. 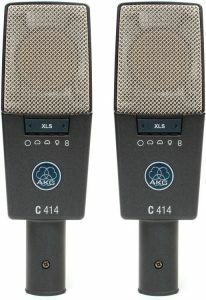 The AKG C414 XLS drum mic is an industry standard microphone. You'll find these microphones a lot in professional recording studios, being a favorite go-to microphone for professional recording engineers. And they are also found quite often in project home studios by the discerning buyer. 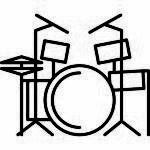 Especially those looking for the best results when recording overhead on drums, or the drum room. Spec-wise, the AKG C414 XLS drum mic is a large diaphragm condenser microphone. It has 9 switchable polar patterns which include omni, wide cardioid, cardioid, hypercardioid, and figure-of-8. The frequency response is 20 Hz - 20,000 kHz, with a very flat response across the spectrum. The super flat frequency response gives it a neutral result in the bass, middle, and high frequencies. Another great specification to watch out for is its ultra-low self-noise of just about 6dB. This makes it just about one of the most quiet microphones you to buy, period. This is thanks to the low-noise amplifier circuitry within the microphone. Additionally, the AKG C414 XLS drum mic has three switchable pads that can lower your audio source by up to -18dB, and three switchable low-cut filters for rolling off bass. The pads are specifically useful for recording extremely loud drum playing. Each of the controls, which include the polar patterns, can be selected via push button controls on the microphone body itself. Besides the specs it offers, what makes the AKG C414 XLS drum mic so special is the versatility it offers. One of the main reasons why you'd want a good overhead or drum room microphone is to capture, not just the full sound of the kit, but also the hi hats and the cymbals. Being that these are condensers, you can expect the sort of high quality that comes from a value condenser microphone. Those who have used it note that they translate well into recordings. Hi hats and cymbals sound crisp and clean. Being large diaphragm condensers also, they can handle the power of the snare and toms cutting through, and give the kick adequate push in your recordings. When you purchase the C414 XLS (pair), you will get shockmounts and windscreens for each microphone, as well as a stereo bar and an aluminum protective carrying case. Bottom-line, you cannot go wrong with the industry standard. When it comes to instrument condenser mics, you'll find that the AKG C414 XLS drum mic comes in at the top of the list of recommended microphones by professionals and enthusiasts. You will not only want to use them on drums, but on anything else you can or would want to record. So if you're looking for the best large-diaphragm condensers for overheads, or room, and you have the budget, these are certainly the microphones to get. The Shure SM-81 drum mic is a good alternative to the large-diaphragm condenser when it comes to recording drum overheads. You can also use it for hi hats, percussion, and even snare. But we'll talk about overhead primarily because that's what it's mainly known for. It's a classic, it was released in 1978, and has been used on tons of popular and professional recordings. On top of that it's also quite cheap, in comparison to other high quality small condenser microphones. That makes this Shure SM-81 drum mic a favorable choice for professional drum production on a budget. When it comes to specs, like I mentioned in the last paragraph, the Shure SM-81 drum mic is a small diaphragm condenser microphone, with a front-address cardioid polar pattern. 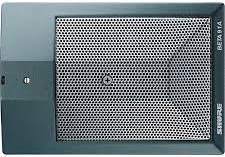 It has an exceptionally neutral frequency response that remains smooth all the way through 20 Hz to 20,000 Hz. In application, the Shure SM-81 drum mic is ideal when you want to get tight, detailed, and focused drum recordings. A large diaphragm microphone will give you a bigger sound, but these do a very good job at bringing out the shimmering details in your hats and cymbals in your overhead. The sound of the Shure SM-81 drum mic has been called "vintage." Even though super neutral, it has a slight color that you'd expect from a vintage mic -- round, and not as "quick" as many modern small-diaphragms. This can be great if you're going for that warm sound. Particularly on getting smoother sounding hi hat and cymbals. It has plenty of presence but it's not very bright, as the typical small-diaphragm condenser microphone (especially at this price) would be. The microphone itself is also quite small. The diameter is just 20 mm, with a rugged steel construction that makes it very durable. There are selectable switches also on the body which you can use to switch between a flat frequency response, and the microphone's two low cut filters. Bottom-line, the Shure Shure SM-81 drum mic is a great little microphone if you're on a budget and want to get some great sounding overheads. They have a particular sound of their own that, once you get used to them, you'll be pointing out all the famous recordings it was used on. You won't regret buying a pair of these, I definitely recommend. The Neumann KM 184 drum mic is another popular alternative when it comes to professionally recording drum overheads. It's sound is considered modern, highly detailed, and crisp. This makes these microphones perfect if what you want is to get as much of those hi hat and cymbal details into your mixes. For that reason, they are not just excellent OH microphones, but great hat mics as well, and have been known as excellent percussion mics. Spec-wise, the Neumann KM 184 drum mic is a small diaphragm condenser microphone with a front address cardioid polar pattern. It has a frequency response of 20 Hz to 20 kHz, that remains neutral in the lower mids to the high frequencies, with a bit of a presence peak around 8 kHz. For this reason the KM 184 will give you that high-end "bite," while the neutral lower mids balance it with generous warmth. Overall, it is neither too dark, nor too harsh a microphone, as they can really make your overheads (particularly hats and cymbals) glisten. Owners of the Neumann KM 184 drum mic have commented that their drums always comes out sounding clear and balanced. The presence peak at 8 kHz has a way of accentuating the super-fast transient responses that really brings out every bit of detail in a drum recording, with a low self-noise that makes it very applicable in more ideal drum recording environments. This is definitely one of the more "intimate" microphones you can use to record your drums in a studio. In fact, Neumann describes the sound of the Neumann KM 184 drum mic as "fresh and livelier" than their previous model (the KM84). Enough though it has that crisp bright sound I mentioned earlier, there is a slight roll off at the highest frequencies. For this reason, some users have commented that the microphone actually sounds warmer than other comparable small-diaphragm condensers, depending upon how the microphone is placed. The Neumann KM 184 drum mic are also very small microphones, but they have a solid build to them that makes them feel like quality. It comes in either a satin nickel or matte black finish. When you purchase the pair, you'll get a wooden case, pop filter, and two microphone clips. Bottom-line, you really can't go wrong with using a pair of Neumann KM 184 to mic your drums overhead. In forums everywhere, these have constantly been referred to over and over as one of the best drums mics for overhead that money can buy, period. Included Accessories: Wooden case, pop filter, 2 clips, operating instructions, and warranty card. The AKG P420 drum mic may not technically be classified as a "drum mic," since it is a general purpose "go-to" microphone that you can use to record ... anything. But they certainly sound great when recording drums overhead or drum room. On top of that, they are cheap. 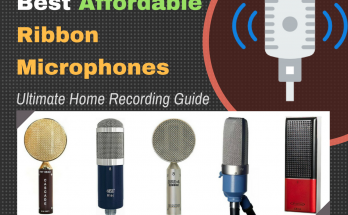 The cheapest condenser microphone in this list. And given the prices of the other choices I mentioned, I figured that a drum mic for the more budget minded home studio had to be on this list. 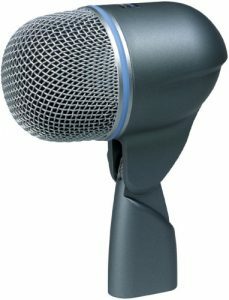 The AKG P420 drum mic is that microphone in my opinion. Spec-wise, the AKG P420 drum mic is quite impressive for the price. It uses dual capsule diaphragm condensers, with side address multi polar pattern. You can select up to three patterns, cardioid, omni, and figure-of-8. It has a frequency response of 20 to 20,000 Hz, and with the ability to attenuate the low end with the 300 Hz low-cut filter. What also makes the AKG P420 drum mic perfect for recording your drum room or as an overhead pair, is its SPL (sound pressure level). With the -20 dB pad, you can get up to 135 dB SPL, meaning it can withstand the dynamic range onslaught of a studio drummer. The signal noise is also fairly low, making it one of the more quieter microphones for the price. Most owners of the AKG P420 drum mic tend to be budget project studio owners who want to get pro sound for the money. The general feedback is that they sound great on practically anything. You can even use it on kick drum and guitar amps, as well as acoustics, making the AKG P420 drum mic a really great all-rounder. It has that "pro sound" that you'd expect from AKG, with a very flat response on the low and middle frequencies, and a presence peak around 10 kHz. You can expect a not too bright yet well balanced sound. The look at feel of the AKG P420 drum mic is considered very modern (it was just released in 2014). It has a matte black finish with a sleek and very attractive (to me) design. Many like in particular how the condenser grill sits in the body. It really does give the impression of quality, even for the price. When you purchase it, you get a shock-mount and metal storage case. Bottom-line, if you were looking for a cheap microphone that can give you professional results, we recommend you get the AKG P420 drum mic. It's an amazing microphone for the price, and practically a hidden jewel among profession budget microphones. If you're looking for a microphone specifically designed to record your kick drums, there are a few choices that you have. One of those choices is the Shure Beta 52A drum mic. It's a modern and affordable industry standard that you can use either in the studio or on stage. Either way, the microphone sounds great, as it was designed to capture the particular sonic signature of the bass in the kick. For that reason, you can also use it on floor toms. The Shure Beta 52A drum m is a dynamic microphone with a super cardioid polar pattern meant to be pointed directly at your drum, doing a very good job isolating all the other drum instrument sounds in the kit. It also makes it great for minimizing feedback in live sound situations. Being a kick drum mic, the frequency response gives preference to the sound of your kicks... and it has one of the lowest bass extensions you can find on any dynamic microphone for kick drum. You can definitely feel this effect when you place it closer to your kick, since it has a massive SPL of 174 dB, making it able to withstand immense dynamic ranges up close. 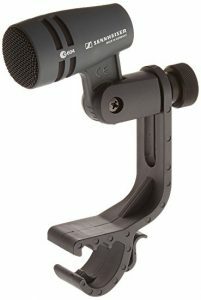 This microphone gets a lot of awesome reviews from those who have bought it and used it. The sound of the Shure Beta 52A drum m has been described as "modern" with a really tight attack. There's lots of punch in the lows, a crispy top end, and a bit of scooping out in the mids. That means you don't have to do as much massive EQing to get out that boxy mid frequency sound in your kick drums. As the Beat Shure Beta 52A drum m has been around since 2002, it definitely was created as modern classic for the modern sound, and so it has gained a large following and popularity among the pro audio crowd. Bottom-line, like one user review said, "It is not a one trick pony." The Shure Beta 52A drum m does the job, and does it very well. It's a great kick mic for the money, and will certainly make you happy. We definitely recommend this, for both kick drum, and as well as floor tom. The Audix D6 drum mic is another choice for one of the best kick drum mics out there. Like practically any kick drum microphone, you can use it on the floor toms as well. It was also designed for use on a Leslie bottom, as this low frequency microphone was specifically designed to record any instrument with a powerful bass. But it has a particular characteristic that makes it different from the Shure Beta 52A that is mention in this guide. First, let's get the specs out of the way. The D6 is a dynamic microphone with a cardioid polar pattern. Like the Beta 52A, it has the frequency response that gives it preference to the low frequencies and high frequencies, while scooping out the middle to minimize that annoying boxy sound. With this microphone, you find that minimal to no EQing is required for achieve the ideal kick sound for your music. The frequency response is 30 Hz to 15 kHz. Thanks to the Audix D6 drum mic's frequency response curve, the microphone tends to bring out more of the "click" and "thack" of the drum, which makes this microphone sound more modern, and very useful in getting a drum sound to really cut through in a mix. Users comment on its super quick transient response which brings up a lot of the details in the kick than any other kick drum mic. The result is a sound that's not as "boomie" as the Beta 52A, rather you get more of the click that's much more appropriate for pop, and rock/metal genres. On floor toms, though, the Audix D6 drum mic produces a very "lush" that doesn't overwhelm in the bass. Either way, the Audix D6 drum mic does well in both the studio or in live settings. It's designed to be positioned right outside the sound-hole, with the cardioid pattern making it very good at minimizing the sound coming from the other instruments. The microphone is considered smaller than the usual kick mic, and relatively lightweight as well. This makes setting up the microphone fairly easy. Further, the design is very modern and beautiful. It has a black anodized finish with the name lasered into the side of the unity. Bottom-line, the Audix D6 drum mic is another great kick drum microphone for the money. It produces a great sound that, while it won't give you as much boom as the Beta 52A, you will definitely get a more detailed, crisp and snappier sound that's more suitable for certain genres of music. If you are unfamiliar with the Shure Beta 91A drum mic, don't let the strange design startle you, this is one of the best kick drum mics around. The design of the microphone itself makes it great at doing one thing very well: record the insides of an instrument. The previous two microphones for kick drum that were mentioned are best used outside of the drum itself, usually pointed at the sound-hole. With the Shure Beta 91A drum mic, you put this microphone "inside" of the drum itself. The result? Exceptional natural and detailed sounds in your kicks. Spec-wise, the Shure Beta 91A drum mic is a boundary microphone. Meaning, it's a condenser with half-cardioid polar pattern that will pick up anything around the surface, or "boundary" of the place it is set (such as on a thick folded blanket inside of a kick). The design also makes it great at preventing phase interference between the sound coming directly at it, or reflections within the space. There are three reasons why the Shure Beta 91A drum mic makes an exceptional kick drum microphone. It has a great low end response that extends all the way down to 20 Hz. This is lower than the traditional dynamic microphone. So if you can use this kick drum microphone for recording sub bass in your kicks. Also, you can always contour the frequency response to cut out 7 dB at around 400 Hz with the EQ switch on the microphone, to get a stronger low end punch. Second reason, the Shure Beta 91A drum mic has a super-flat frequency response all the way up to 20,000 Hz, where it begins to increase and give more presence. This means a super neutral and uncolored kick sound. Finally, since it is a condenser microphone that fits inside of your kick, the super fast capsule with high SPL rating of 155 dB will capture every nuance of your kick from the initial "click" to the extended "boom" with precision and clarity. Design-wise, the microphone is actually quite small. It's just 5.47 inches long, and weighing only 16.6oz. It is relatively easy to position, either with a stand or just resting it inside your drum. The design is considered to be very sturdy, with a metal casing and grill. Bottom-line, the Shure Beta 91A drum mic is a great microphone to have if you record drums. 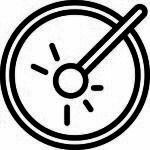 There are a vast number of happy users online who can attest to the sound quality and definition that this provides for kick drum sounds. It's a little more expensive than the other options, but it offers the best of both worlds: a great responsive low end boom and punch, plus the high click and snap. The Sennheiser e604 drum mic is one of the best microphones for toms, snare, and percussion you can get. It was optimized specifically for close proximity miking. So you can either screw it onto your microphone stand and push it right up against your drum, or use the adjustable clip to mount it directly onto the rim of your snare. Being a specialty microphone for toms and snare, the e604 is actually a affordable option. And the affordability factor definitely pays for itself when you get them as a three pack. 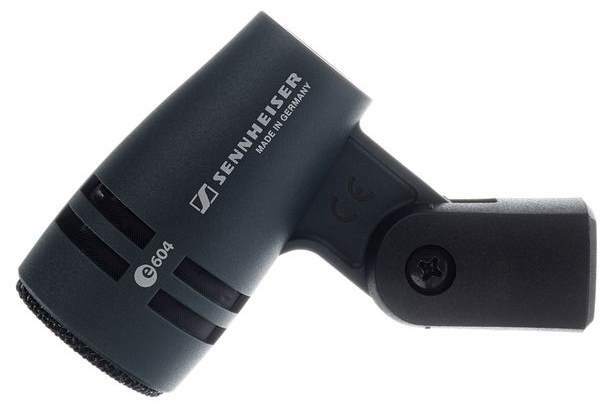 In terms of specs, the Sennheiser e604 drum mic is a dynamic microphone with a front address cardioid polar pattern. It has a frequency response of 40 Hz - 18 kHz, contoured specifically for the toms, percs, and snare. Also, the diaphragm has a super fast transient response that can be compared to a good condenser microphone. But being a dynamic, with a high SPL rating (160 dB) you can definitely feel comfortable about the fact that it can take the dynamics range abuse of a closely miked drum. Additionally, the microphone is tough, tough as nails. 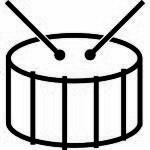 Its body is made of reinforced fiber glass, so it can withstand both the impact of a drum's sound, as well as some good jolting when fastened to the rim of the drum. Anyway, those who have used the microphone found that it works best as stage mic, with excellent results when used as a budget drum microphone for home studio recording. Also, if a closely miked sound is what you want, this can give you one of the best results you can get for the money. It's described as balanced and clear, with a very low distortion signal. On African percussion drums, they have a nice solid punch to them. Many users also enjoy the fact that it has a very tight pickup pattern, so you won't get too much of your other drum sounds in the mic. But maybe what makes this also super attractive, particularly for a drum recording engineer, is how easy it is to set up, and pull down, thanks to it sturdy pivoting clips. Bottom-line, when it comes to a budget drum microphone for snare, toms, and percussion, the ideal choice is going to be the Sennheiser e604 drum mic. It's a fairly common sense decision for those that are serious about proper drum miking. There are certainly high end options out there, but these are definitely a high recommendation for the money. If you were looking for what is probably the best snare and toms microphone, you should definitely consider the Sennheiser MD 421 II drum mic. It's interesting that it has "MD" in the name, you could probably consider it the "MD of snare and tom mics" because that's where it gets its best reputation. It is a classic microphone, with its origins going all the way back to 1960 when it was released. The Sennheiser MD 421 II drum mic, however, is a modern update on a classic vintage, released in 2002. Spec-wise, the Sennheiser MD 421 II drum mic is a dynamic microphone with a large diaphragm with a cardioid polar pattern. It has a frequency response of 30 Hz to 17 kHz, which very decent for the use of drum miking. The cardioid polar pattern makes the microphone awesome at feedback rejection. Hence, the Sennheiser MD 421 II drum mic is used a lot in live situations. Next time you go to a concert that is properly engineered, chances are you'll see a few of these all over a drum set. And, you will also notice, that the drums would sound amazing because of it. The look and even feel of the microphone may be a little bit deceiving to some who are not familiar with the Sennheiser MD 421 II drum mic. Some don't like the fact that it looks, and feels, like plastic. This is despite the fact that it has a glass composite housing, with a hardened stainless steel basket to protect the capsule from any damages. Users also generally hate the plastic microphone clip. Despite that, it is still a very sturdy and dependable microphone, and also very famously used all over the place by serious engineers and producers. In terms of sound, it's difficult to match the Sennheiser MD 421 II drum mic with any other microphone. If you're familiar with drum mics, you'd probably know how it sounds when you hear it. It has that industry standard sound and warmth to it that the serious engineers want in their recordings. There is a nice roundness to the way it sounds, particularly when picking up the low end of a tom. And they give snares a nice full bodied sound that the typical dynamic microphone would miss. Some producers have even found that, besides a little gate and compression, there was practically no need to EQ the drum sounds this microphone was able to record. Bottom-line, the Sennheiser MD 421 II drum mic cannot be recommended enough. It's a great microphone that you can use for on stage or in the studio. And besides being one of the best drum mics around the place, it's super flexible enough for all your other sound sources. The Shure SM57 is one of the most universally known, and used, microphones in the world. It's an instrument microphone, with a very rugged design that makes it capable of withstanding a whole lot of abuse. You can drop it, slam it, smack it, and the thing still works. For that reason, it's most popular application is on stage. And it's also one of the best microphones you can use for snare drum. In fact, this microphone is often the go-to snare drum (or tom) microphone in a producer or sound engineer's kit. Spec-wise, the SM57 drum mic is a dynamic microphone that has a natural way of capturing sounds without there being a lot of frills. It certainly will not "wow" you in terms of sonic excitement, but its sonic signature makes it great for capturing the sounds of a snare drum in particular, in a natural sounding sort of way. It has a front address cardioid polar pattern which makes it quite good at isolating the sounds that are around it to focus on the instrument you point it at. The SM57 drum mic also has a 40Hz-15kHz frequency response, with a presence peak that gives it the sense of clarity that makes it so popular. In addition to that, the diaphragm is robust, it can withstand an SPL of up to 149 dB, making it great for close miking your drums. As a studio microphone, it is also sufficient, especially if you are going for its particular sound. The fact that it is also very cheap makes it one of the best drum mics for the money. Bottom-line, the SM57 drum mic is one those "must have" microphones for your drums. It's been used on about 75% of professional recordings. And any home studio or sound engineer will have a kit with at least a few of these. They don't sound "genius," but the SM57 drum mic can't disappoint you in terms of sound quality, and they actually offer a very clear and honest sound that you can depend on session after session. When it comes to dynamic microphones for this price, this one is a definite recommend, for both the budget user and high-end studio use. The drum set isn't simply one instrument. The drum set is a collection of several instruments played by a single person. And because of this, you'd need the right microphoneS to capture the fullness of sound that is the entire drum SET. We went over this in brief in the studio microphone buying guide. 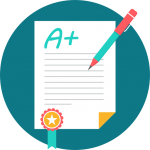 But essentially, there are a few requirements that you need to keep in mind. Let's go over them together right now. Overhead microphones will typically be large diaphragm condenser mics, or small diaphragm condenser mics. You will need a stereo pair of these microphones as well. The reason why we choose getting a pair of condenser microphones is because, as stated before, you want to be able to get good sounds from your cymbals to mix. These are very high frequency sound sources. The typical dynamic microphone might produce an unsatisfactory "fuzzy" sound. Condenser microphones, on the other hand, have a highly sensitive capsule that responds very quickly to the rapid transients of a hi hat, and the shimmer of a cymbal. So you want to make sure you get those in your mix. Large Diaphragm Vs Small Diaphragm Mic Pairs? The reason why you'd choose either a pair of large diaphragm or small diaphragm condensers is simple. Look at the style of music you are miking. 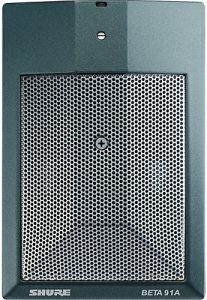 If your music requires a lot of the "beat" or the bottom end body of the kick to punch through, get a pair of large diaphragm condensers. If you primarily want to focus in on the hi hats and cymbals, like in some jazz genres, get the small diaphragm condenser pair. Alternately, you'd also choose a pair of large diaphragm condensers if you want to record the drum room, and then use the small diaphragm condenser pair to microphone the overheads. That way you get the best of both worlds. The best large diaphragm mics you can choose for OH would be the AKG C414 XLS if you're will to spend on quality, or the AKG P420 if you're on a budget. The best small diaphragm mics for OH would be the Neumann KM 184 for best quality, and the Shure SM81-LC for budget buying. If you want to mic your hi-hat individual, you can use a good small diaphragm condenser microphone to get the job done. The ones mentioned in this list will be sufficient for that. The kick drum is the next important sound source to focus on. The reason is because you want to be able to control the way this drum will sound in a mix. Regardless of how prominent the kick will be to the overall feel of the music you want to make or mix, it's better to have a kick drum sound you can control, than leave it up to chance. The typical choice is a dynamic microphone. Understandably, the kick drum is a high SPL instrument (sound pressure level). And the dynamic microphone, as you may know (or if you didn't, now you're about to learn) is far more resistant to damage from massive sound pressures than a condenser's diaphragm. But another important reason is that dynamic microphones tend to have more authority in the lower frequencies. There are a few options in this list for great dynamic drum mics for kick drum and floor tom. As well as one special type of condenser microphone (a "boundary microphone") designed to be used inside of the kick drum itself. Best kick drum mics are the Shure BETA 52A, Audix D6, and the Shure Beta 91A. The snare is the next instrument you have to mic. It often provides to back beat to the music, so an uncontrolled snare sound can really damage the way your drums feel in a mix. The typical snare drum microphone is a dynamic mic. The best one to use would be the ubiquitous Shure SM57. Dynamic mics can also be used for toms, percussions, and timbales. Although, many engineers sometimes choose to let the Overhead mics capture the toms. If you want to keep things simple, that's a good way to start. The frequency response of a microphone determines how sensitive it will be at capturing low to high frequencies. If you have a microphone with a frequency response that remains sensitive all the way down to 20 Hz, naturally you'll get some decent sub bass in your kick. On the other hand, the higher the frequency range, the more emphasis it gives the higher frequencies, and therefore, the "brighter" and more "present" a drum will sound in your mix. Large diaphragm condenser microphones often have the widest sonic signature. While dynamic microphones tend to have stronger authority in the low frequencies. In either case, I will make mention, in the microphone descriptions, how each microphone responds across the frequency range. You may be familiar with the fact that the closer you hold a microphone to its audio source, the more "bass" it will pick up. This can be challenging when you want to do "close miking" on a percussion instrument, but you don't like how "boomy" it might sound. Simply pulling the microphone away may seem to solve the problem, but you may end up picking up the sound of a neighboring instrument, or the ambience of the room or set. Low cut filters (or bass roll-off switch) can allow you to place your microphone as close as you want to your instrument, yet attenuate any unpleasant mid to low-end effects. This is primarily for condenser microphones. A good condenser microphone will come with at least one pad to cut down any sound coming to the microphone. This helps to protect the capsule from damaging sound pressure levels. Those are primarily the main specifications you want to look out for when finding the best drum mics for recording studio or stage. Hopefully, this guide was able to help you decided on the right buying choice for you. If you read the buying guide section, you would've learned the best way to select a microphone, and a simple read through of the description of each microphone would bring you to a very simple selection. That being said, there really are so many more drum mics that could've been added. This list was pared down from over two dozen. If you were just reading out of curiosity, thanks for stopping by! Feel free to chime in with your thoughts on drum mics by leaving a comment below. Particularly if it will help others just getting into mics. Otherwise, please share this with your friends or anyone else you think will find this information useful. And before you leave, if you found this guide helpful and want to see more of my guides, take a lot at the best equipment for home studio, where you'll be navigated to my other gear guides for music production. This is the result of hours and days of combing through the internet to find the best microphones for drums to today. Data was compiled from forums like Gearslutz and Reddit’s r/WeAreTheMusicMakers thread. Also considered were product reviews, and buyer reviews from pro audio owners. Amazon and other online retailers were them used to determine which drum microphone per category and price range was the best rated, and had the most ratings, and reviews by satisfied customers. Finally, a comparison of that against forum reviews, user testimonials, and personal experience (where applicable) was used to narrow down the choices.